When trauma occurs on your property, it can be a horrific time. Not only are you experiencing intense emotions, but it is essential to ensure the property clean-up is handled by a professional company. Bio-hazardous materials require specific knowledge and procedures to address. From dealing with bodily fluids to the reconstruction of damaged building materials, Kelley Klean has the expertise to handle it all. 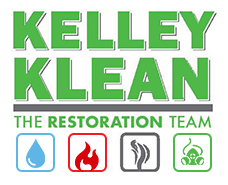 Kelley Klean is a full-service restoration company with experience restoring properties from trauma and bio-hazardous conditions. Servicing the Columbia, Jefferson City, and Central Missouri areas, we are the proud contractor of choice in the Mid-Missouri area. When you pick up the phone to call Kelley Klean, you are reaching out to over 30 years of cleaning experience. Established in 1986, Kelley Klean has handled enough trauma scene restoration projects to gain the proper experience necessary to get the job done right. If you are interested in learning more about our trauma scene restoration services, give us a call 573-214-0990. Never attempt to handle the cleanup yourself. When trauma occurs on your property, it is important to keep safety top of mind, and only a skilled contractor will understand the proper way to remediate the affected areas. When you work with Kelley Klean, we will arrive promptly on-site equipped and ready to remediate any space. Since we have been in business for over 30 years, we have built strong relationships with the insurance companies and will assist you in all communications concerning your claim. Trauma Scene Cleanup is applicable to biohazard cleanups including bodily fluids, blood and tissue, dangerous material removal and chemical decontamination. Typical damage consists but is not limited to, the decontamination and cleanup of suicide, homicide, meth lab, and physical fluids, the elimination of airborne pathogen and blood, cleaning of prison cells, virus and crime scene remediation, tear gas remediation, and the decontamination of microbial sites. Kelley Klean understands the emotional severity for you at this time and ensures our technicians will take care of the task promptly and thoroughly, providing you the time essential to cope with what matters most. All of our technicians are properly trained and certified by the IICRC and know exactly what to look for on every trauma scene restoration project. This includes using advanced tools and techniques to check for fluids that could be hidden from the naked eye or taking extra precautions to address every affected area. Agencies such as the (Environmental Protection Agency), OSHA (Occupational Safety and Health Administration) and the CDC (Centers for Disease Control and Prevention) all require certain regulations for trauma scene restoration. In order to get a property back in working order, these regulations must be adhered to. The goal is to return your property to a habitable and safe environment, and choosing the right restoration company is key in successfully doing so. After a trauma has occurred on your property, it can seem as though it will never be the same again. At Kelley Klean, we will treat your property with the respect it deserves and will restore it to a safe environment once again. We will adhere to the proper state and federal regulations and will do so with our team of trained technicians, advanced tools and proper equipment. Established in 1986, we understand the sense of urgency to arrive quickly, provide a competitive quote and start the mitigation process in a timely manner. We are available 24 hours a day, 7 days a week and 365 days a year to assist you during emergencies. In addition, we are certified by the IICRC in order to ensure safe and effective techniques are applied to your property. To learn more about how we can restore your property after a biohazard or trauma condition, give us a call at 573-214-0990!